Steven William Hawking (8 January 1942 – 14 March 2018) was undoubtedly one the most brilliant minds of this century whose legacy will continue to live on even after his death. One does not have to be a science buff to know who is Professor Steven Hawking who presented theoretical prediction that black holes emit radiations which is now often known as hawking radiation. He was also the first man ever to set out the revolutionary theory of cosmology explained by a union of the general theory of relativity and quantum mechanics. A man who lived a tumultuous life that earned him a lot of achievements and followers was also confined to his wheelchair due to his rare early-onset slow-progressing form of motor neurone disease (also known as amyotrophic lateral sclerosis "ALS" or Lou Gehrig's disease) that gradually paralysed him over the decades. Here are some the facts about professor Steven Hawking that you might not have known before. He was a mediocre student. Can you imagine a Grade-A genius like professor Hawking as being just an average student? Its hard to imagine, right? He claimed that until he was 8, he could not even read properly and his scores were always average. Of course his learning ability got better as time went on and the world came face to face with the incredible genius that he is now. He was on Oxford Rowing Team. Before being diagnosed with his physical disability illness, Hawking was recruited as coxswains -- a position that does not row, but rather controls steering and stroke rate. Since, rowing competitions in Oxford was a pretty big deal, his role mage him very popular. But since, rowing didn’t help his study habits he started slacking and sometimes used creative analysis to create lab reports. His children have all made a name for themselves. Steven Hawking had 3 children Robert, Lucy and Timothy with his first wife. His children all have found success in their respective fields. His first born, Robert, 50, is a software engineer for Microsoft in America and is mentioned in a number of patents. Professor Hawking’s second child, Lucy, 47, is a journalist turned author and writer for children. Her adventure story book George's Secret Key to the Universe which she wrote with her father has been translated in 38 different languages and published in 43 different countries. His third child, Timothy, 38, is a marketing expert who worked for the global toy firm Lego for for eight years, most recently as a brand development manager in London. They all did the Ice-Bucket challenge on behalf of their father. He was told he would only live two for years. In 1963, when he was only 21, he was diagnosed with Amyotrophic Lateral Sclerosis (ALS), a motor neuron disease and doctors told him that he had only 2 years to live. Initially, he was shocked and wondered why this had happened to him but realised others have a lot worse after witnessing a boy die from leukaemia. He was engaged to Jane soon after they first started going out. This engagement gave him a purpose to stay alive. Steven Hawking might have been confined to his wheelchair for more than half his lifespan that does not mean he was shy and in any way less social about his existence. He is the definition of cool for a lot of people. His guest appearances in many TV shows like the Conan, The Simpsons or Star Trek showcased his outstanding wits and people skills. He also appeared in about 6 episodes of the hit TV show The Big Bang Theory as he was known be a fan of the show. After his passing in March 14, 2018, the show made a tribute for him in twitter that said, “In loving memory of Stephen Hawking. It was an honor to have him on The #BigBangTheory. Thank you for inspiring us and the world”. He lost a bet about black holes. In 2004, professor Hawking admitted that he had lost a bet to American Theoretical Physicist John Perskill about the concept of Black Holes, which stated that nothing can escape from a black hole, which was in violation to the fundamentals of quantum mechanics. The bet was made in 1997. He had numerous achievements and accolades. 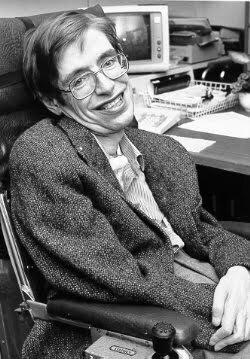 Steven Hawking was inducted into the Royal Society (the royal academy of science in the U.K., dating back to 1660) in 1974, and a year later, Pope Paul VI awarded him and Roger Penrose the Pius XI Gold Medal for Science. He also went on to receive the Albert Einstein Award and Hughes Medal from the Royal Society. In 1979, he attained the post of Lucasian Professor of Mathematics at the University of Cambridge in England, a position he would keep for the next 30 years. In the 1980s, he was invested as a Commander of the British Empire, a rank just below being knighted. He also received Companion of Honour, which is another distinction given in recognition of national service. In 2009, Hawking was awarded the United States' highest civilian honor of the Presidential Medal of Freedom. While he has received a lot of honorary awards for his work in his life span, he has not been presented with a Nobel prize.